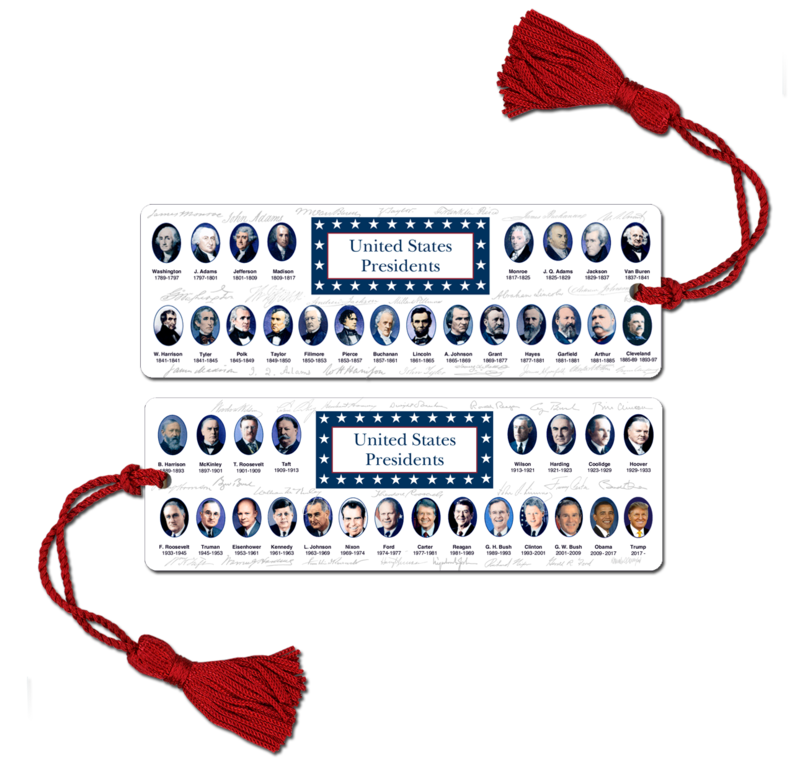 Our double-sided, full-color Presidents Bookmarks will be used again and again. All U.S. Presidents from George Washington to Donald Trump are included along with their signatures, portraits and dates in office. Add your school name, company logo or name for a one-time charge of $20.